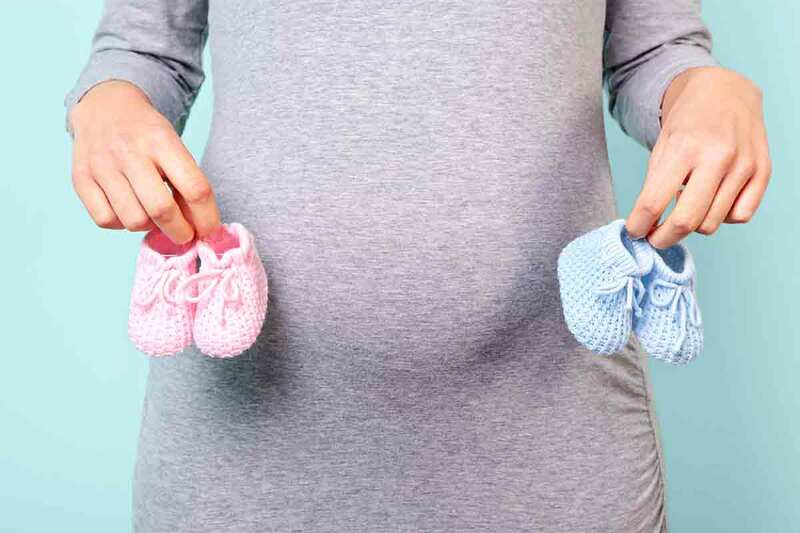 After announcing you're pregnant, the next exciting surprise is the big gender reveal. Are you looking for a unique way to announce your baby’s gender to friends and family? Check out our favorites. Want another excuse to celebrate your expected little one? Gather family and friends so they can see your reaction (and you can see theirs) when you discover the big gender news. Make it a Mystery - Have a helper who’s in on the secret fill a giant black balloon with pink or blue confetti. Gather people around and pop the balloon with a needle to have the confetti go flying. Step it up a notch by placing “clues” around the party before the big reveal. Going Hunting - Fill a paintball gun with designated pink or blue paintballs. Have mom and dad aim and fire the paintballs at a target. This could even serve as a decoration for the nursery if you’re going with a woodsy vibe. Bake a Cake - This is one of the original ideas that launched gender reveal parties. Give your baker a sealed envelope revealing the gender and have the surprise baked into a cake. This can be done with colored cream inside the cake, colored icing, sprinkles or confetti filling the cake. Throw a Fiesta - Fill a piñata with pink or blue candy. Have mom and dad take turns pulling strings or hitting the piñata to reveal the gender. Genius Tip: Plan a potluck-style gender reveal party with an online sign up. Hit it Out of the Park - Do you have sports lovers in your family? Arrange a ball game with family/friends wearing pink or blue baseball tees to designate two teams. When mom or dad lines up to bat or pitch, have them knock a smoke bomb out of the park. The smoke will linger pink or blue. Let it Go - Another fun, traditional idea. Fill a box with pink or blue helium balloons. When the parents open the box, the balloons will float to the sky for a beautiful reveal. You’ll also get some great photos and video with this one. Be Silly - Will you have a lot of kids in attendance at your party? Hand them cans of colored silly string and let them in on the big reveal. On the count of 3, everyone shoots silly string into the air. Genius Tip: Spread more fun with these 25 baby shower games. Make it Magical – Will it be Mickey or Minnie? Disney is a favorite, and this is the perfect way to incorporate well-loved characters into the mix. Have guests vote for a “prince” or “princess” on a chalkboard as they enter the party or open a mystery gift box that contains Mickey or Minnie ears to reveal the gender. Want to go a little more low-key but still reveal the news to friends via social media? Look here for inspiration. Surprise Siblings with Handprints on a White T-shirt - Let siblings in on the fun. Mom should don a white T-shirt, and have blue and pink paint at the ready. Have the video rolling while you cover the kids' faces with a blindfold, have them dip their hands in the correct paint color and let them put handprints on your belly. Take off the blindfolds for the big reveal. Dress Your Pet – Already mom and dad to a fur baby? Feature your pet in the big reveal with a special (and colorful) T-shirt, hat, scarf, colored collar or accessory for a photo op. Get Creative with a Sign – Chalkboard art is having a moment, so think of a special message or drawing that illustrates your baby boy or girl. One idea: Think of old wives tales about either gender and include the ones that apply to your baby. For instance, write that girls have a lower heartbeat rate or that with boys you crave salty instead of sweet foods. Blow a Pink or Blue Bubble – There are a couple of takes on this cute idea. Each parent can blow a different color bubble (then pop the incorrect color) — or both can blow the same color for the photo. Be Artsy – Sometimes simplicity and elegance is the name of the game for the perfect photo reveal. Incorporating colorful feathers or flowers on a textured background with a sweet note is the perfect touch. Is your gender reveal near a holiday? Look here for inspiration. New Year’s Reveal - Incorporate your reveal with New Year’s Eve featuring a new beginnings theme. Use pink or blue confetti for your big party or pop a special colored bottle of champagne. Fourth of July Reveal - Red or blue? Or red, white and blue? Have family and friends gather around for a red or blue barbecue. End the night with pink or blue fireworks or sparklers of your own. 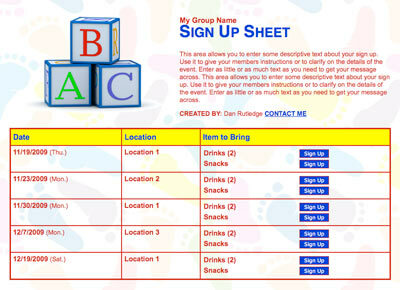 Genius Tip: Organize meals for a family after baby arrives with an online sign up. Thanksgiving Reveal - While family and friends are gathered around for the holiday, it’s the perfect time for the big reveal. Incorporate your reveal in with table and mantle decor and your festive food. Slice the pumpkin pie and reveal a colorful surface that’s the appropriate color underneath. Christmas Reveal - Are you sending out Christmas cards? Giving special presents? Wrap your reveal up with a bow or decorate a tree with the reveal surprise. You could also make friends and family wait by the mailbox to discover the announcement on the card. Genius Tip: Give one of these 35 useful and unique gifts for new moms. Looking for a more intimate reveal just for your significant other? Try these ideas. Bath Bombs - Set up a nice bath and use a tinted bath bomb or two as a sign of the baby’s gender. You can also incorporate candles, special scents and other zen-like reveals. String of Lights - String colored lights around a room or porch. When other lights are turned out or it’s nighttime, plug in the pink or blue lights and walk your significant other out to see the surprise. Made Bed - Make the bed with pink or blue sheets. Cover it with the comforter and sham pillows so when your significant other gets into bed they will see the big surprise. Strawberries or Blueberries - Plan a restful night in with your significant other — and a special dessert. Add in a colorful fruit and whipped cream on top of your sweet treat to complete your reveal. Canvas Date - Plan a date night out with your significant other where you have an artist lead you in a pink or blue canvas-painting party. Mall Madness - Shopping reveals can be a lot of fun. Send your significant other on a scavenger hunt through the mall with a list of essentials they have to buy. End the scavenger hunt with a little pink or blue surprise. Pink or blue — soon you’ll know! No matter which idea you choose, remember to document and cherish the moment. Christina Kaemmerlen is a journalist, burrito lover, Tar Heels sports addict, manic mom and loving wife living in southern suburbia. 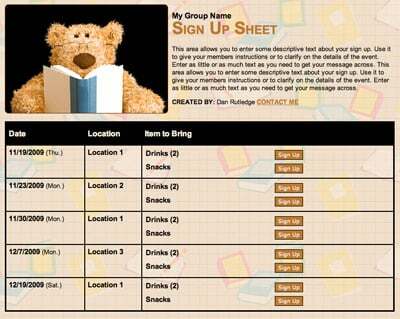 Organize baby sitting services with an online sign up.